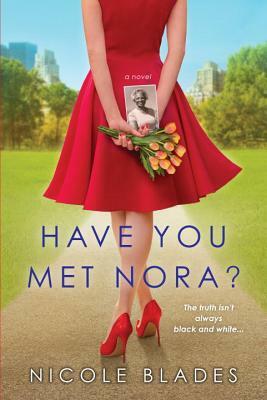 Praise for Have You Met Nora? Nicole Blades is a novelist and journalist. Her articles and essays have appeared in The New York Times, Cosmopolitan, Women’s Health, WashingtonPost.com, MarieClaire.com, SELF, Health, and BuzzFeed. Born and raised in Montreal, Nicole now lives in Connecticut with her husband and their son. Follow her on Twitter @NicoleBlades. And visit her online at NicoleBlades.com. "Blades (The Thunder beneath Us, 2016) blends mystery, scandal, and intrigue. Readers are encouraged to stick with the story for an unsuspected and somewhat uncharacteristic twist at the end."